West Georgia Street at night. Rendering © Herzog & de Meuron. 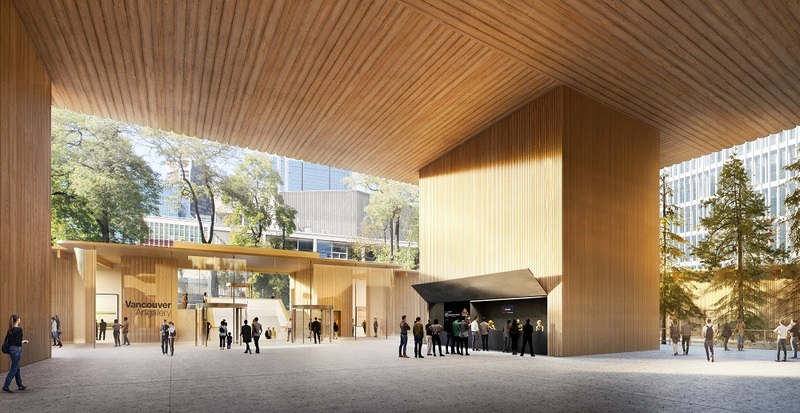 The Vancouver Art Gallery is several steps closer to getting new digs. Long in the planning, the relocation is one step closer to reality. Yesterday, Jan 23, the gallery announced the design for its new home. 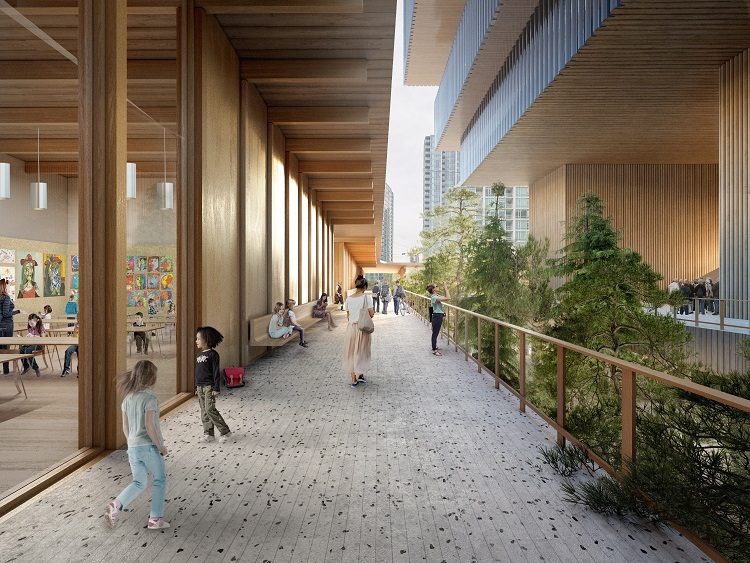 The projected building will be a 300,000 square-foot concrete-and-steel behemoth, with wood and glass at courtyard buildings. 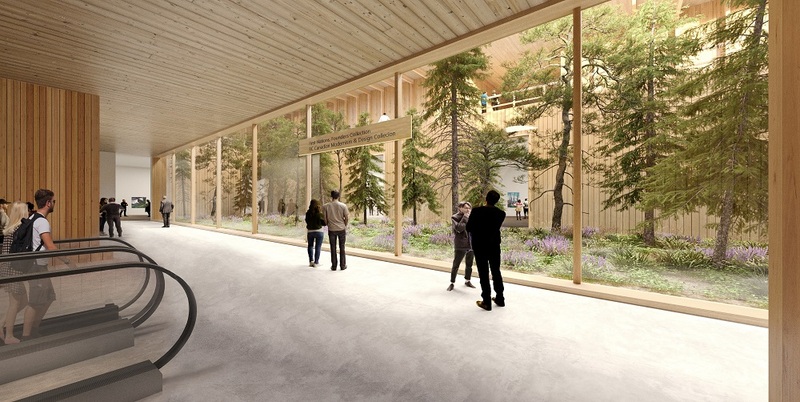 The expanded floor space will allow for an increase in the size and scope of the gallery’s exhibitions as well as more space for its 25 permanent collection galleries. More community spaces, a 350-seat theatre, and publicly accessible Resource Centre Library and archives will also enliven the new facility. And the new building will allow for a major expansion of the Gallery’s education programs. The architectural firm behind VAG v. 02 is Herzog & de Meuron. The Basel, Switzerland firm’s previous projects include the National Stadium for the 2008 Olympic Games in Beijing, China (also known as the Bird’s Nest) and the conversion of the Bankside power plant to Tate Modern in London, UK. A series of internationally acclaimed museum buildings is also under the firm’s belt. The next step in the project is to secure yet more funding, from senior levels of government and the private sector, to begin construction. Estimated completion for the Chan Centre for the Visual Arts is 2023. Gallery Courtyard. Herzog & de Meuron. Can this new art gallery house all the homeless people in Vancouver? 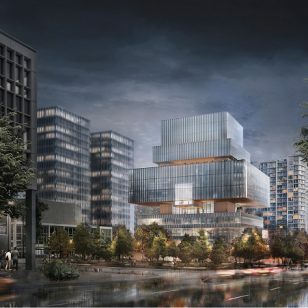 In April, 2014, Vancouver Art Gallery selected Herzog de Meuron, from a group of five shortlisted firms, from across the globe following a series of in-depth interviews and site visits to significant projects designed by each firm. 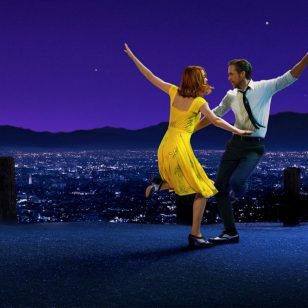 The finalists, announced in January 2014, represented five of 75 firms from 16 different countries, who submitted their credentials through an open request for qualifications (RFQ) process issued by the gallery. 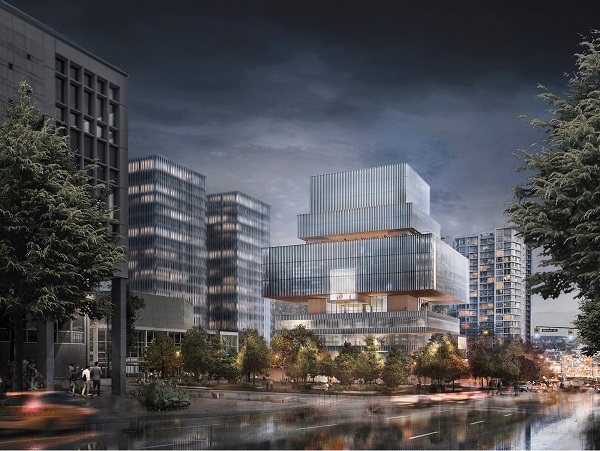 The new Vancouver Art Gallery building is Herzog de Meuron’s first project in Canada, working in collaboration with Vancouver-based Perkins + Will as executive architect in the realization of the design. An absolutely amazing contribution that shouldn’t be overshadowed by the city’s need to deal with other issues.